Located in the heart of Darwin, Crocosaurus Cove is also home to the largest display of Australian reptiles in the world, including species unique to the Top End and Kimberly regions of Australia. There?s also a turtle sanctuary and two-story freshwater aquarium. Children will love interacting with the baby crocodiles, and don?t forget to pay a visit to the infamous Burt, star of the iconic Australian movie ?Crocodile Dundee?. 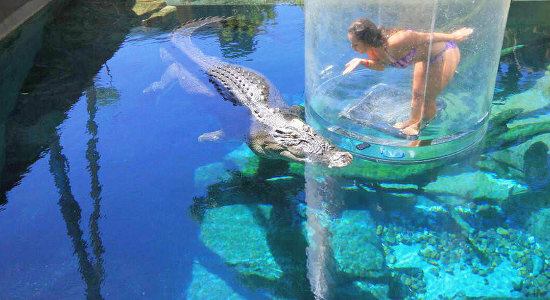 Give the gift of thrill with this Cage of Death gift voucher for an individual swim with crocodiles at Darwin's Crocosaurus Cove. More information here! 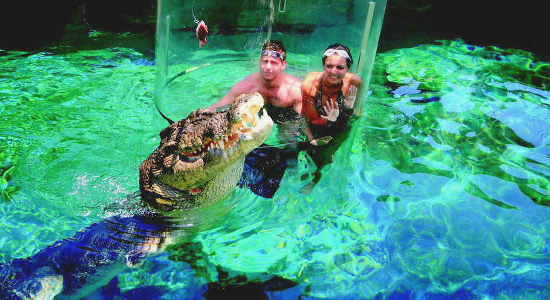 Spoil your favourite couple or friends with this Cage of Death tandem experience at Darwin's Crocosaurus Cove. Find out more here.